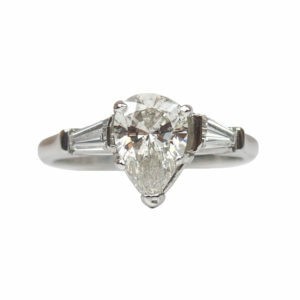 This two-tone bypass ring dates back to the art deco era 1920-30’s. 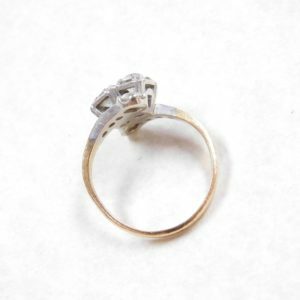 The shank of the ring is 14k yellow gold and it has a platinum top. The diamonds are set in the bypass design. 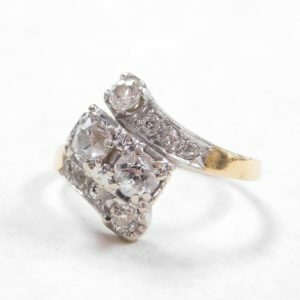 The larger diamonds measures 1/4 carat each but appear to be almost 1/2 carat each because of the illusion setting. The top of the ring sits about 1/4″ off the finger. Pictured as received from a local estate. 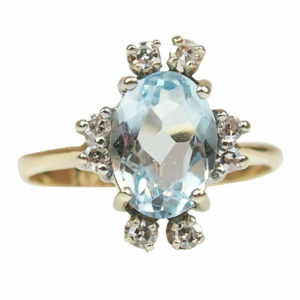 This vintage ring will touch your heart and soul with its timeless beauty. 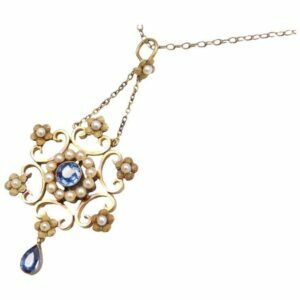 There’s something magical about jewelry from another era, with its own story to tell. Pictured as received from a local estate. Very good estate condition with minimal wear indicative of age. Cleaning and/or polishing by request at no additional cost. MARKS: 14k, Top acid tested to the platinum standard. SIZE: 7 1/4. 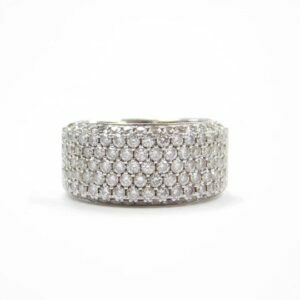 Ring can be sized for an additional fee. Please inquire if needed. 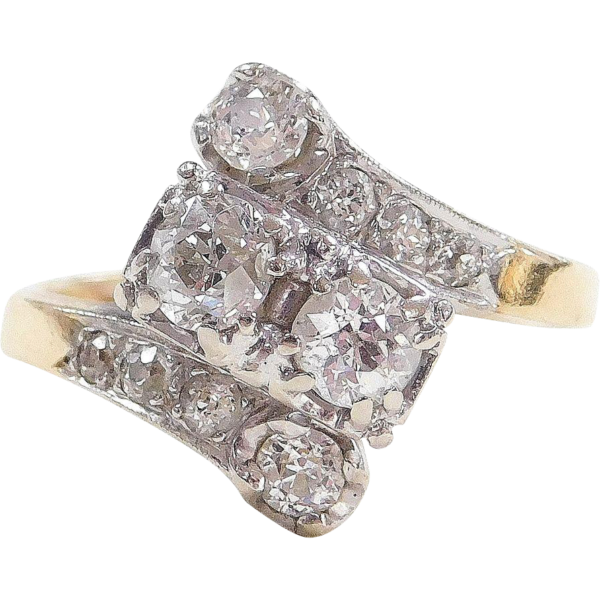 COMMENTS: This two-tone bypass ring dates back to the art deco era 1920-30’s. 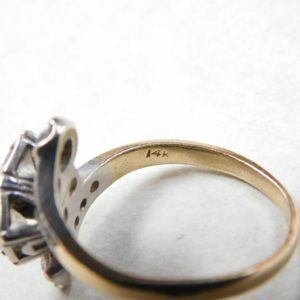 The shank of the ring is 14k yellow gold and it has a platinum top. 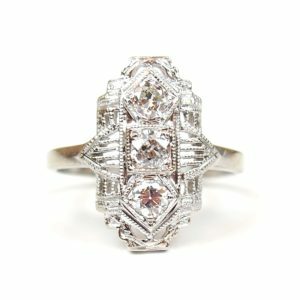 The diamonds are set in the bypass design. 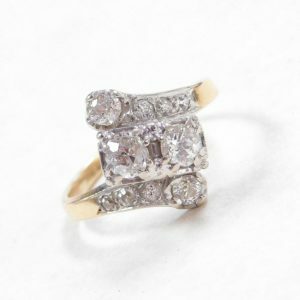 The larger diamonds measures 1/4 carat each but appear to be almost 1/2 carat each because of the illusion setting. 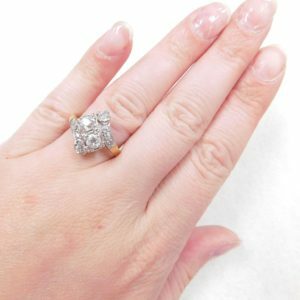 The top of the ring sits about 1/4″ off the finger. Pictured as received from a local estate. 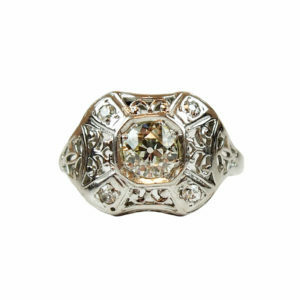 This vintage ring will touch your heart and soul with its timeless beauty. 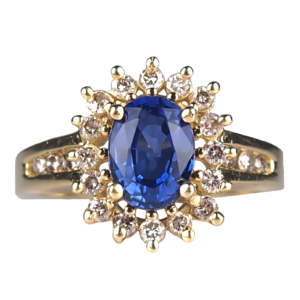 There’s something magical about jewelry from another era, with its own story to tell. Pictured as received from a local estate. Very good estate condition with minimal wear indicative of age. Cleaning and/or polishing by request at no additional cost.